Offering you a complete choice of products which include transmission gears & shafts and transmission yokes. 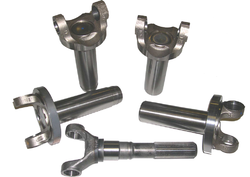 Mainly dealing in exports, the items we produce are generally for overseas applications of various models, ranging from raw forgings, machined components to finished components , etc. suiting to the customers’ requirements as per market conditions. Our Export channel includes all SAARC countries, South East Asia, Africa, Europe and Latin American countries. Apart from ready to fit products, we also produce customized parts , manufactured according to customer’s specification/sample given to us. Our comprehensive array of transmission yokes is engineered using excellent quality raw material such as alloy steel, steel and many more. These yokes are capable of bearing high overloads and are economical to use. Our gamut is used by several industries due to its efficiency, higher productivity and many more. 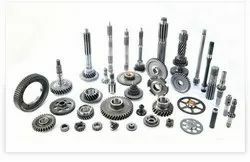 Looking for Transmission Gear Parts ?